The body that oversees net addresses has approved a controversial deal over the future of the .com domain. The board of net overseer the Internet Corporation for Assigned Names and Numbers was split over the agreement. The deal agreed between Icann and Verisign signals the end of lawsuits filed by the organisations against each other. 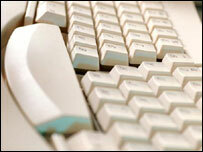 The legal action was sparked by Verisign's introduction of a search service called Site Finder. When users went looking for a .com domain that had expired or did not exist, Site Finder meant they were directed to Verisign and given a chance to buy the domain rather than just see an error page. After shutting down Site Finder at Icann's request, Verisign filed a lawsuit saying the net oversight body had no power to make it comply. At a special meeting held this week nine members of the Icann board voted for the revised deal, five voted against and one abstained. The agreement now passes to US Department of Commerce which has the right to grant final approval of decisions Icann makes. In a statement Icann said: "If approved, this settlement will clear the way for a new and productive relationship between Icann and Verisign facilitating Icann's stewardship and technical coordination of the internet's domain name system." Although the deal is likely to be rubber-stamped by the Department of Commerce, one US politician has written letters protesting about the deal. Representative Rick Boucher opposes the section of the agreement that gives Verisign a "presumptive renewal" right to keep control of .com when the contract for who administers it comes up for re-negotiation in 2012. Other critics say this right of renewal effectively means Verisign has everlasting control over .com. Also criticised are clauses that let Verisign raise prices for .com domains by 7% in at least four of the next six years. For its part Icann gets a one off payment of $625,000 to help it administer the new agreement. The net oversight body also gets regular annual payments that start at $6m and rise to $12m by 2009. Opposition to the deal has been widespread among other companies that register net domains. These organisations banded together into the Coalition for Internet Transparency (CFit) and it called on Icann to throw out the deal. "Increasing prices without justification, allowing a monopoly to expand without review and giving Verisign perpetual ownership of the .com registry were wrong when they were first proposed and they're still wrong," said John Berard, a spokesman for CFit, in a message posted on the group's website.